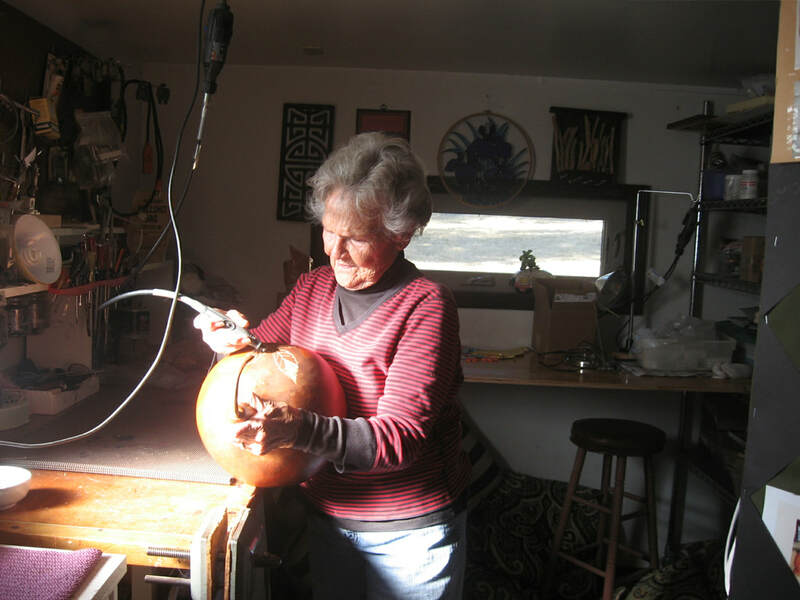 Betty will demonstrate etching a gourd with a dremel tool. I use leather dye and art markers. I also do wood burning and dremel tool using the tiniest bits to make the designs.